BananaBandy - Explore India's Creative Community - A Rose Is A Rose Is A Rose! The Indian creative industry, which covers a wide range of fields viz arts, animation, designing (graphic, fashion, industrial), photography, crafts etc – is growing at a fast pace. There is a wide pool of talented professionals available in each of these fields. Despite the availability of skilled and talented resources, the industry often struggles to discover and tap into suitable ones. The reason is that there aren’t enough common platforms on which industry players and the creative community can meet. Founded in February 2015 by Shashank Jogani, 21 and Kavan Antani, 19, BananaBandy is a platform which caters to all the requirements of the Indian creative ecosystem. BananaBandy, an online market network for Indian creative professionals is an integrated creative platform for students, professionals, institutes and design-focused companies to address the challenges mentioned above. It is also a great place where corporate and creative community meets. BananaBandy, already has a pool of India’s largest with 10000+ creative professionals. The basic aim of the website is to enable creative professionals such as graphic designers, photographers, animator, product designers, interior designers, fashion designers, etc. to upload and manage their portfolio and at the same time, connect them with the relevant full time and freelance work opportunities. This is an excellent platform for creative professionals to showcase, promote and monetize their work. BananaBandy is an aggregator of creative services and it aims to create an end-to-end solution for all the creative needs in the country. Using its technology, BananaBandy matches the company’s depending on time, budget and other criteria. Its services will make the recruitment procedure shorter, more efficient and cost-effective. In such a short time span, they have facilitated over 700 job listings from 450 companies. The website has over 6000 projects with 30000+ artworks. In the past 6 months, they have associate with companies such as Walt Disney, Ogilvy&Mather, CouponDunia, Practo, Sunburn, Grofers, Asian Paints, etc. 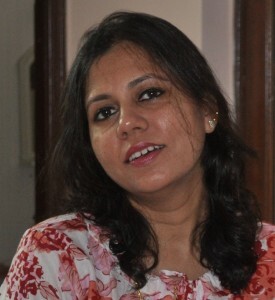 What a wonderful resource for your creative countrywomen and countrymen, Shilpa! Thanks for this shilpa! Will tell my daughter who is a design student about this. Wow. Good to have know about the platform! as i want enjoyment, since this this website conations actually pleasant funny materiial too.